Fresh fruits with red berries and spices on the nose. The palate is full, round and racy with rounded and smooth tannins. 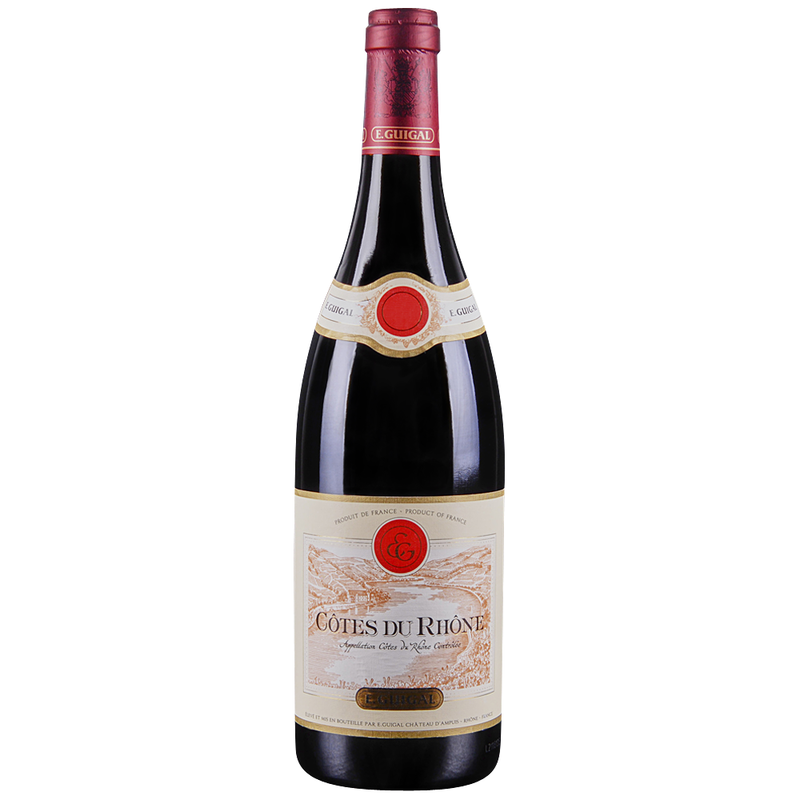 A full-bodied, rich and intensly aromatic wine. Full with a long finish and plenty of elegance and finesse due to the well balanced tannins and fruit. The Guigals select and blend cuvées from over 40 top growers, and their talent lies in the rigorous and exhaustive traveling and tasting they carry out. Ultimately they will select only 1% of all wines they taste for their Cotes du Rhone Rouge: one lot out of every one hundred.